In November, Carrie Underwood and Avril Lavigne have untitled albums slated for release. Also slated for release this year with no pending date or title, Shakira's and Adam Lambert's albums. What CD's are you waiting for? Tedder has finally issued a statement, according to Entertainment Weekly, responding to the Kelly Clarkson/Beyonce controversy, in which Clarkson claims Tedder ripped them off with the same musical track for "Already Gone" and "Halo". Beyonce is a busy, busy girl. After doing a press tour for Obsessed (2009) AND her double album I Am... Sasha Fierce, she is doing a whirlwind tour across North America, Japan, Europe, and Australia. She's even (allegedly) linked to a new movie, Tipping The Velvet. It's no wonder she hasn't responded to the "Halo"/"Already Gone" controversy surrounding her, Kelly Clarkson, and Ryan Tedder. According to the Times of India, Beyonce couldn't even tell you what city she's in! So, in light of all this, will Beyonce comment on Ryan Tedder? Will Tedder comment? We can only wait! Recently, I wrote (quite excitedly) about Kelly Clarkson's latest single (due out in August in the U.S.) "Already Gone". Well, according to an interview Kelly did with CBC Radio, Kelly actually asked her label NOT to release "Already Gone" as a single. The problem? It sounds too much like "Halo". Why does it sound so much like "Halo"? According to Clarkson, it has everything to do with c/w and producer Ryan Tedder. Clarkson also said, now that the album is out, the label can do whatever they want with it. I'm sorry you're not happy about this, Kelly. I personally LOVE this song. Maybe you can convince them to release the acoustic version. Alas, though, it's probably already gone to print. Yes... this is a review. It will not be as long as my previous two reviews for those of you who followed me here. For those of you who haven't... I reviewed the Dixie Chicks previously and Kelly Clarkson. Jordin Sparks released her sophomore album Battlefield on July 21, 2009, in the U.S. Overall, it was not what I expected. I was hoping for growth from this, now, young woman, who is the youngest ever American Idol winner, winning Season 5 at the age of 16. 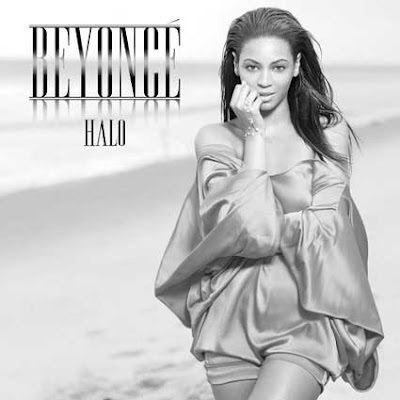 However, this contemporary R&B / Pop album is extremely focused (which can be good). The first track "Walking In The Snow", which should have been titled "(I'm so) Unaffected", was a cute, light, young dance-pop track. It's sweet and simple, but hardly sets the tone for the album. The second track, first single, and title track "Battlefield" is co-produced by top-of-the-charts Ryan Tedder (frontman for OneRepublic). "Battlefield" is not a carbon copy of Tedder's other achievements ("Halo" [Beyonce], "Bleeding Love" [Leona Lewis], and the soon to be released "Already Gone" [Kelly Clarkson]) but has similar elements. It's a good first single, and this track definitely sets the tone for the album. "Don't Let It Go To Your Head" surprised me with the line "I think of you in bed," which I find disturbing. Even though Sparks is now 19, I still see her as that 16 year old who won our hearts (or at least the hearts of the people who voted for her) on American Idol. The song was actually intended for the 2005 release Sunday Love by FeFe Dobson, the release of which was cancelled. There's an interesting bridge that reminds me of a genre I can't seem to name, but, otherwise, it sounds like a slower "Battlefield". "S.O.S. (Let The Music Play)" uses the song "Let The Music Play" by Shannon from the album of the same name (1983) as it's basis and chorus. It's a fun song that highlights the flare of 80's music and the influence of 80's music on modern music (as highlighted by Darren Hayes in This Delicate Film We've Made). It's trans-generational, simple, and fun. "No Parade" has the potential to be the big, timeless Diva ballad of the album, but fails to deliver when it adds the "Battlefield" drums. In an effort to be modern, this track (among others) have been overdone. "Let It Rain" has a very rock chorus. That would sound awesome if the track wasn't full of multiple instrumentations that clash with each other. "Emergency (911)" is the first track co-written by Sparks, and it sounds very Disney (aka Jonas Brothers, Miley Cyrus/Hannah Montana). After the introduction, there isn't a lot going on here for me. "Was I The Only One" (another Sparks cowrite) starts and ends sweetly, another potential soft-pop classic. During the second verse, the drums are added to give it that R&B feel. This time, however, it doesn't necessarily kill the song (as I believe it did "No Parade"). "Faith" is actually one of my favorite songs off the album. Musically, it goes the way of the pop gospel-based ballad of the 80's and 90's. Sparks, who cowrote this track, goes off vocally towards the end, but brings it back. This is possibly the most timeless track of the album. The last track, "The Cure" reminds me of this exact song that I swore I heard when the first album came out. However, according to my research, it was only leaked as of July 14, 2009. It reminds me of "Tattoo" and sounds like everything else on the album. The BONUS TRACKS from the Deluxe edition should be on the album. They add diversity and show growth. "Papercut" shows the most growth, having Sparks (in the final cowrite) sing with a full band as opposed to an intrumental or synthetic instruments. It is raw and emotional; young yet mature; not manufactured; not overdone. It is everything I was hoping the album would be but wasn't. "Postcard" is a slow R&B/Pop track that reminds me of a late 90's, early 00's girl group (the kind that only has 3 girls throughout its entire duration of 1.5 albums). Sparks attempts to do too much with the song vocally, but overall this song is very casual, laid-back, yet entertaining. Battlefield is definitely not a sequel to Jordin Sparks. It isn't the same, it hasn't grown, and it just simply isn't enough for me. If this were her freshman release, B or B+, possibly A-, but this is a second album. B-: Stop trying so hard to be modern and fresh, Jordin, and be real. "Papercut" was definitely my favorite track and what I hoped for in this album. I'll be waiting. "Already Gone”, the first Tedder/Clarkson collaboration on this album, sounds similar to much of Tedder’s work, which is currently hot on the charts, including “Bleeding Love” and “Halo”. It gives Clarkson a different sound, even for this album. It is the essential 2009 electropop sound, with Clarkson’s unique country influence on the delivery of the verses in her delightful, raspy R&B tone... amazing pop and dance chart potential..."
The video, presumably, has already been filmed and it is slated for release in the U.S. on August 11th, 2009, and September 7, 2009, in the U.K. Assumably, it has been released to the airwaves in Australia already since it has already charted. My question is... will it be the album version she releases or the acoustic/tour version? I love both, and perhaps she will release both as a single. She will probably release the album version, however, to the radio stations. The song is one of my favorites, and I am excited for the release (and remixes). Album 4, Single 3. 1 more single, and you'll graduate, Kelly! There is some awesome music going on at the Ann Arbor Art Fair, especially down at the South University Art Fair. (Yes, each section of Ann Arbor has its "own" Art Fair.) Today, I got to hear some great music at The 107one Sesi Mazda Main Stage on the corner of Willard and Church just off of South U. 107one just happens to be one of 4 stations that broadcast through the company for which I am interning (Ann Arbor Radio). All the bands were awesome! And if you live in or near Ann Arbor, HEAD ON OUT! The shows are 3-9PM! Thu, Fri, Sat. Parking and transit is available at Pioneer HS and Briarwood Mall. Here are the bands coming up! I'll be myspacing and facebooking and twittering (maybe youtubing?) all of these artists w/in the next few days! LOOK OUT! Haha. At right this second, my audition is featured on http://sho-towntv.com/ ! Go right now! How awesome! Kelly Clarkson - "I Do Not Hook Up"
Mariah Carey - "Obsessed", "I'll Be Lovin' U Long Time", "Fly Like A Bird"
Paula Abdul - "Dance Like There's No Tomorrow"
Pussycat Dolls - "Hush Hush; Hush Hush"
Rupaul - "Jealous Of My Boogie", "Cover Girl"
Whitney Houston - "I Didn't Know My Own Strength"
I try to go to Karaoke every Sunday night at Gigi's in Detroit! So much fun, and I LOVE Karen, the karaoke host! She's AWESOME! It's a "gay" bar, but everyone is welcome. It can be slow on Sundays, but twice they've had the Detroit cast of Grease come in! She had like 30 singers on rotation! It's all digital, so even if you don't have a song up, she calls you up and you can add a song or choose not to sing! So come on down: gay, straight, bi, trans, pan, a, blah blah blah! LoL. If I can drive from Ypsi, you can drive from where you are (unless, you know, you live like 100 miles away)! Today, I auditioned for the Sho-Town Television Network. Sho-Town is an online endeavor to create new content, such as shows, music videos, talent showcases, and whatever else they feel like making. They'll even be creating a sitcom in the future. I auditioned as a singer, but made it clear that I am a multi-talented individual. I was an actor in Magic Mentah, an independent Science Fiction film that is still in production. I am an Electronic Media & Film (aka Telecommunications) student so I do technical work on a daily basis when I am in school. My focus is audio/music production, so I am familiar with some of the equipment they use in their recording studio (yes, they have a recording studio). I also self-produced a CD with my sister last year (which you can find on my music myspace. I mean, if you pass this mofo (or just plain MO) over, well you're missing out. LoL. So, I went in, and the two gentlement I met and deal with were extremely nice guys. These guys were extremely polite, professional, and definitely enjoyed their media endeavor (is internet television a medium or is it media because of its combined media?). I sang two songs. Yes, TWO songs. I started with one of my favorites of all time, Heavy On My Heart by Anastacia. A rendition of it, by me, can be seen on my YouTube account. When I finished singing, the producer or director or whatever his title was for this segment said "Damn" or something similar that made me feel good. Haha. I killed it... in a good way. HA! Then I sang another one of my all time favorites, I Know Where I've Been from the musical Hairspray. A live performance of this is my highest viewed video on YouTube. Overall, they were very welcoming and held good conversation. They said that video of my audition will probably be up by Wednesday, so I will keep you posted. Today, I made a special CD to try and get me pumped and excited and just have a great day! Mariah: "Obsessed (Remix)", "I Stay In Love (Duet Remix)", "Right to Dream"
Kelly Clarkson: "If I Can't Have You", "Tip of my Tongue"
Pink: "I Don't Believe You", "Crystal Ball"
PCD: "Hush Hush; Hush Hush"
RuPaul: "Jealous of my Boogie", "Devil Made Me Do It"
Queen Latifah: "Cue The Rain"
Black Eyed Peas: "Boom Boom Pow"
That was my playlist for the day... AWESOME! I went 2 Wyandotte 2day & got a palm reading at the street fair. Charise from Boston Tea Room was extremely accurate in her reading. I need an intuit though. I have wanted to do this before, I tried to start 1 up, but it just never lasted. I'm lazy. Haha. But this is going to be my music blog. "Your music blog?" You say... Yes, my music blog. I am James Taylor, Jr. (That's me... that's really my name. No, I'm not related to THAT James Taylor. LoL.) I'm a (don't laugh) singer/songwriter... I'm also a performer, voice-over artist, a writer, actor, and many other things. Tomorrow, Saturday, July 11th, I am auditioning for http://sho-towntv.com/. I recently auditioned for American Idol, but did not make it. I, honestly, not to sound conceited, know that my sister and I did not make it not because we lack talent and/or personality. We simply are not what they wanted for Season 9. I will be posting hopefully, sometime before Monday.